Local security solutions for your home and business. 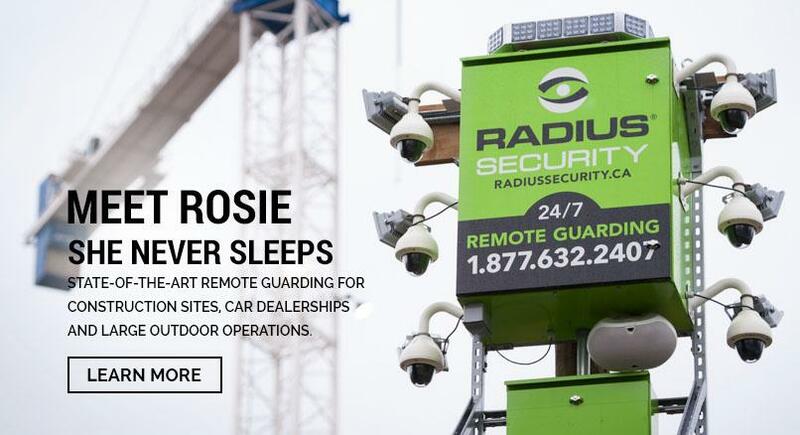 Supplying Vancouver and the Lower Mainland with Residential Alarms and Commercial Security Systems, Radius Security is your total security provider. Our alarm monitoring station is located right here in the Vancouver area so you get a local response when there is trouble. We provide not just home security systems, but also commercial security including video surveillance, security cameras, access control, burglar alarms and fire monitoring. 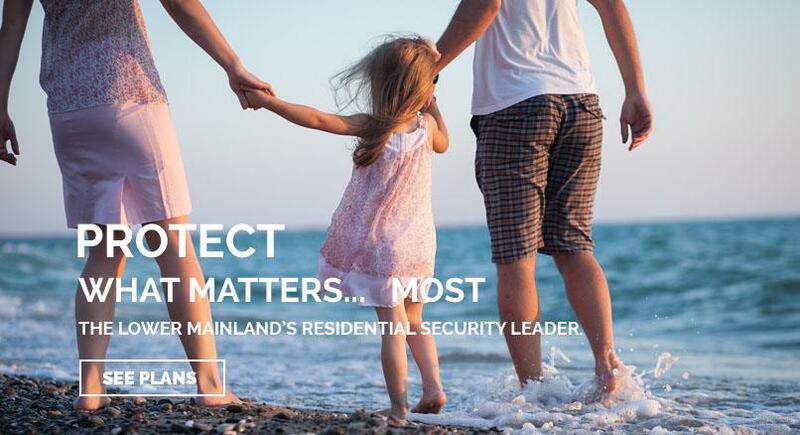 Feel safe with a security system with Vancouver-based Radius Security. | The most advanced camera monitoring technologies in Canada. | Industry-leading “Video Verified” technology with rapid response. | Fire, water and C02 monitoring for extra protection and peace of mind. | Greater Vancouver’s #1 choice for homeowners. WHY CHOOSE RADIUS? AS YOUR VANCOUVER SECURITY COMPANY? We know you’re bombarded with choices when it comes to finding a good alarm system and security company in the Vancouver area. All you want is a security company that you, your family, or your business can rely on. Radius Security has a lot to offer. As a Vancouver Fire & Security company, we have been protecting homes and businesses in the Vancouver area since 1948. We own and operate our Greater Vancouver central alarm monitoring station which means we don’t rely on any third parties based in the U.S., overseas or out east. And that means your alarm call is cared for by locals‐ folks who know Vancouver and the Lower Mainland like you. Add to that our innovative Guard Runner Service where we dispatch a security guard to your location while alerting the authorities so that we’re on site to deal firsthand with your emergency. Now that's reliability. Of course, we offer a full range of home alarm systems and commercial security and fire monitoring services at affordable prices. 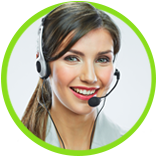 Our security service technicians and support team are knowledgeable and friendly. People you can rely on. Servicing Vancouver,West Vancouver, North Vancouver, Burnaby, Richmond, Surrey, Langley, Coquitlam, Port Coquitlam, Ladner, Delta, and the other areas of Greater Vancouver, Radius Security is here for you. If you live in the Vancouver Area and need a security system or other product offered by our team, Contact Radius Security today. Why Radius Security? Because like you, we live here. To find out more about Radius Security and our Security Systems, contact us today for a free security evaluation in Greater Vancouver. Sign up for one of Radius Security’s Residential Monitoring packages and receive a free home alarm. I think I should recognize that your staff is doing an excellent job. You have saved us tens of thousands of dollars so far. 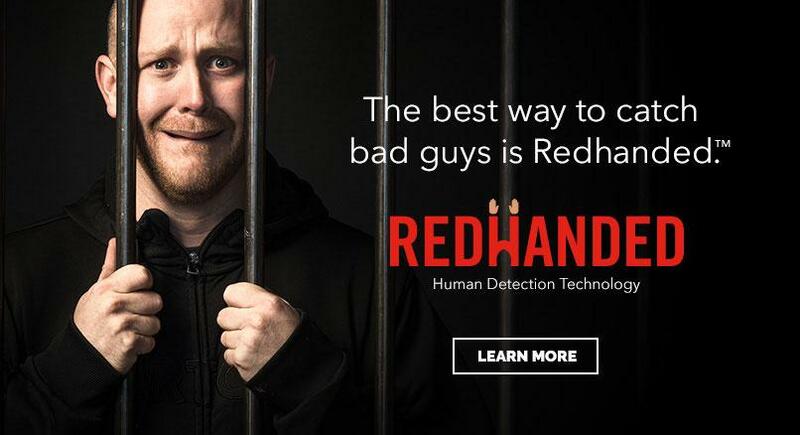 Since we've put Radius in, we've caught every single guy... your security system has become a profit centre for our business. We haven't had any incidents....Very professional...someone is on the ball all the time.... I've had break-ins in front of guards...Having a guard here was not a deterrent in any way. We just finished the Annual Fire Alarm Inspection and I would like to thank you for the great job made by your technician Mr. Adrian Dorobat. He impressed me with his meticulous and professional work. He did a great and professional job. The Building Manager of Kenilworth Apartments called in complimenting our technicians who were very friendly and professional. The Tenants were very impressed that the technicians were pet friendly. I found Radius Security to have exceeded my expectations all the way from meeting with the Security Specialist to dealing with the Installation Technician. We were shown how to use the system in a manner that made it very easy for us to operate after the technician left. Compared to our last provider, you guys are a 10 in comparison to the two we had previously. We are lucky that Ken was here to help us out. He never ceases to amaze us with his broad knowledge and quick troubleshooting skills and he definitely prevented extensive damage to the property. You are really lucky to have such a great technician onboard. It was a real treat to deal with a company such as yours. have to tell you, your office customer service is great. 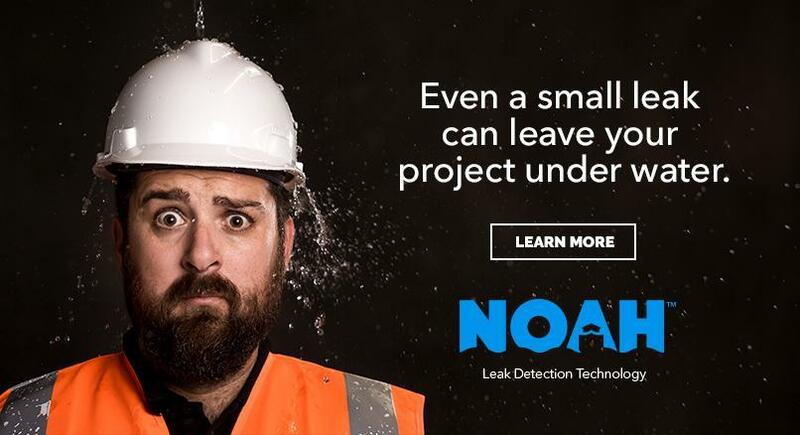 Your crew was doing the annual inspection and they found things that should have been fixed years ago. The council member in charge is most impressed. Thanks for your help. I just wanted to thank you for the work you did at 1090 Victoria. You came through under some challenging deadlines, and the signage and fire/life safety plan all went well. If all suppliers we worked with on the project were like you, it would have been a breeze. I am very pleased with the attention and service we have received from Vancouver Fire and Security. As a result, I have made it our choice service provider for all fire-related systems. 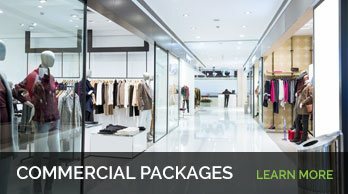 Working with one sales representative at Vancouver Fire and Security has many benefits. It means I have a single point of contact for all our requirements. It means she understands our business, our concerns and our clients' concerns. And that translates into great customer service. As a property manager, the response time from our service providers is critical. That's why we depend upon Vancouver Fire and Security for our fire prevention services at our buildings. We receive good service and an excellent response time because they are accessible 24/7. And, because they do their job promptly and professionally, we can too. Vancouver Fire and Security has done a tremendous job in raising its service to the next level. For example, by providing in-house fire safety system monitoring, alarm installation and monitoring services is cost efficient and makes good sense. Along with knowledgeable staff and competitive pricing, working with Vancouver Fire and Security makes my role as a property manager much easier. Would I recommend this company? Absolutely. Before our company began depending upon Vancouver Fire and Security, we didn't realize the full scope of all they do and how well they know the industry. In fact, I find the technicians very knowledgeable. The customer service representatives are consistent in contacting us so we don't have to remember every detail about repairs or maintenance. And their response time is fast. Overall, our experience has been efficient and conscientious service. The most important reason why I have used Vancouver Fire and Security for more than 20 years is that their technicians evaluate and complete fire safety repairs in a timely manner. There's no question that we benefit from their superior service, their knowledgeable techs and that their work is done properly and professionally. Some of their technicians we even request by name. Some of our strata councils were disgruntled with our previous fire protection company because they lacked attention to detail. Our contact with you has been exemplary and has helped to regain the confidence of homeowners and strata councils. We find Radius Security / Vancouver Fire and Security responsive and willing to fulfil specific council requests. We are very pleased with your fire monitoring and fire protection services. 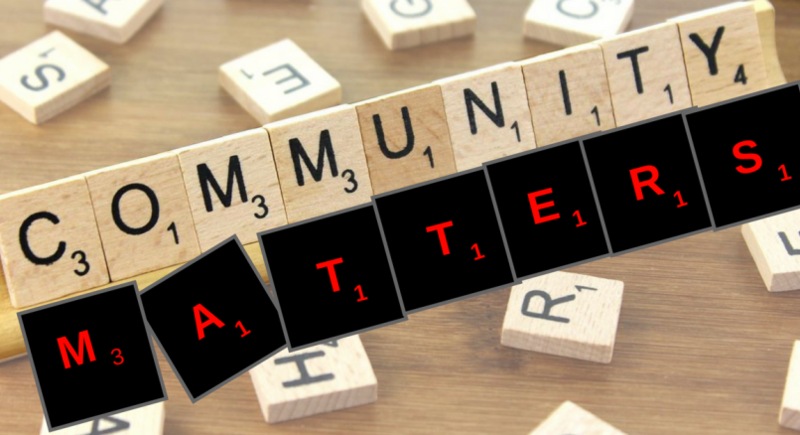 Your prompt response and excellent customer service have helped us to provide a safe environment to our residents. We thought it would be difficult and expensive to switch to Radius Security for security services but it was painless and it cost less. The availability of different services allows us to choose what suits us and knowing that they have been in business for more than 60 years is reassuring. You are a life saver. Thank you Cynthia for saving the day and having the security work done on such short notice. Not only did you fulfill my request, you also investigated the beeping issue. Everything went great. I felt very comfortable with Allan, Richard and Rob taking care of the changeover. they were all very knowledgeable and confirmed Radius was the right choice for the job. We have been very satisfied with the services provided by Vancouver Fire & Radius Security over the years as they provided annual services on our fire extinguishers and emergency lights. We were very interested in consolidating our existing alarm services with our annual fire inspections. The Sales Rep that came to our place of business was very friendly and informative. We were very pleased. 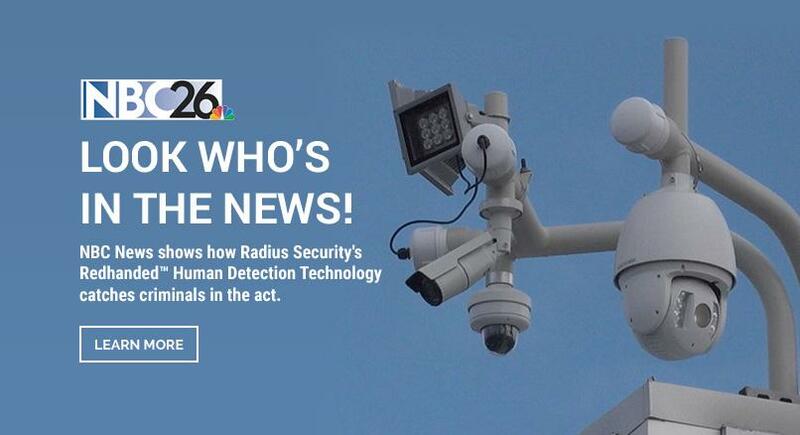 We signed up with Radius Security and we save over $300 annually. We are happy to know that our property is protected by Radius Security. You and your team exceeded my expectations at every turn. Now that we have your security system in place, I'm very happy we made the move. Video Alarm Verification just makes sense. It's user friendly, years ahead of anyone else in the industry and it works! Of course i never want to have a need to use the system, but knowing Radius Security is plugged in gives me one less thing to worry about. I chose Radius because they did not want to sell me a new system. They were able to use the new security system that was installed with our new home. The salesman Mike was very professional and service team installed in a quick and efficient manner. Monthly rates are very comparable. Although we had a small hiccup, they were able to repair the very next day. A followup call was also received. Going local is the way to go. Radius would definitely be recommended. We had the pleasure of meeting Mike, Security Specialist who came to our house to have our alarm system assessed. Mike is very knowledgeable with regards to alarm systems and we are very pleased with his positive attitude, professionalism and straight-forwardness. We had our alarm system hooked up and you sent us an excellent technician, Richard. Our system was one of the older models and it took Richard quite a while to do what he has to do with it, but he was very patient, professional and very thorough. His skills, work ethics and attitude should be commended. Mr. Shell Busey was right when he included your company in his referral network. Your customer service is exceptional. Kudos to everyone in your company. We would highly recommend your services. Radius Security exceeded my expectations in every way. 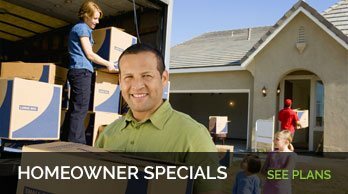 Everyone from sales to the technician did an impressive job facilitating the installation of my security system in an efficient and timely manner. I consider Radius to be one of the best service providers I have dealt with to date. Your security specialist, Mike, came by our house yesterday to develop a quote for our security needs and he did a fantastic job. He was on time, very personable, super knowledgeable and patient with me. A Home Owner called to say that one of our security techs attended to fix up an upgrade of the security system. He said that the technician did an exceptional job and the work was extremely neat. We like the fact that Radius Security is a one-stop shop and it is local. We thought having a security service would be expensive and complicated but it is surprisingly affordable and the system is easy to use. We switched to Radius Security / Vancouver Fire and Security because it is cheaper than our old system plus they installed a keypad and upgrades for free. I have set the alarm off a few times (oops) and they called me within minutes (unlike our previous company). The monitoring station and head office is in Vancouver unlike our previous monitoring company. Whenever I would get calls from them, which was seldom, it was from the U.S. and Eastern Canada. We're a young family who've just moved into the area from Alberta. We were really excited about our new home and were expecting our first child. We didn't know who to pick for a security company and didn't wanto one of those big multi nationals where you have to talk to a call center form who-knows-where, or leave a message on a machine. A friend introduced us to Joslyn Alderson, one of the owners of Radius Security - who lives right here in our neighbourhood. I can call their local monitoring station day or night and speak to theri staff who are friendly, honest and easy to deal with. It's great to know that the things we have worked so hard for are safe even when we are not there. We chose Radius Security / Vancouver Fire and Security because it has the best technology in the marketplace. The company is family-owned and has been around for a long time so we aren't worried it will go out of business. Radius is the first security company we've worked with and everyone has been professional, friendly and helpful. Although there have been break-ins in our neighborhood, I have complete confidence and peace of mind that our home is safe and secure. Radius Security will call us immediately if the alarm goes off to make sure everything is okay in our home. We recently had Radius security equipment with monitoring installed. A few days ago, our alarm went off, it was a false alarm, but the staff at Radius were fabulous. I received a phone call within a minute of the alarm going off. The operator was great. He kept me calm and made me feel like he was there with me. I felt totally safe with him on the line. It is hard to describe how grateful I was. Even though it was a false alarm, I know that if it was real, I would have been OK. Hope never to have the alarm go off, but if it does, I will feel a whole lot better knowing Sasha and the others at Radius are there... with me!!!! I recently bought a new house and was on the market for a new security system when my daughter recommended I use Radius Security. Having been using another company for the last 11 years I was a little nervous but my daughter would never steer me wrong. I called Radius Security and informed them of my situation and was greeted by a knowledgeable gentleman on the phone. He was able to understand my needs and was happy to schedule a free security assessment. Mike Ursan, Security Specialist, was friendly and knowledgeable. The installation crew was on time and I was very pleased. All said and done I am very pleased with my new security system and would recommend them to friends and family. Thank you for the excellent service we received at our residence. I called to report a fault with the alarm and less than 48 hours later it was repaired and up and running. Both the person that scheduled the service and the tech were incredibly courteous and efficient which had not been our experience with our previous provider. I'm more satisfied than ever that we decided to make the change to Radius for both our home and business security.